Yachting Malta is planning to carry out a comparative analysis on marinas and yacht services in the Mediterranean region – one of a number of initiatives being undertaken by the public/private agency in its efforts to promote Malta as a yachting destination. Yachting Malta was set up in April 2015 as a joint venture between the Royal Malta Yacht Club and the government (through Projects Malta). 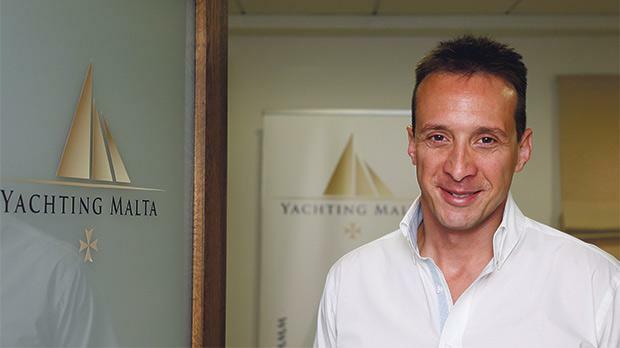 With a limited annual budget, former PE teacher and yachtmaster certified Wilfrid Buttigieg – Yachting Malta’s CEO – has to tackle a wide remit but the 37-year-old has taken a systematic and structured approach. “We have the potential for many more visitors and events but we need better infrastructure,” he admitted. “We need to understand the services provided by marinas and yards, the charges for water and electricity which although reduced by government might not be translating into reductions to yacht owners via the marinas, the quality of the environment… These are all factors which effect competitiveness. This can only be done through a comparative analysis, which needs to be done in order to sustain Malta’s yachting strategy,” he said. He spent much of his time in the first year consulting and listening to at least 50 stakeholders, from private companies, to educational institutions, to associations, getting feedback but also trying to pass on the message that this was not going to be about sailing events but much broader, from motorboats and superyachts, to training and education, and to that most elusive of yacht brokers’ dreams: boat shows, among other events. There was also a certain amount of administrative work to do, from establishing a corporate identity, an administrative office set-up and a social media presence, which has already garnered 25,000 views in just a month following the production of a slick video, to establishing branded collateral. As a new agency, Yachting Malta also avoided the ‘new broom’ syndrome, and instead of marching in and commissioning reports, first set about gathering all the previous research from the past, collated by consultancy firm Deloitte, and now neatly lined up in a cupboard, ready for the next step. Indeed, apart from the comparative analysis of the marinas, one of the targets for 2017, he wants to be able to corroborate Yachting Malta’s ideas with quantitative data assessing the 120 initiatives that it has already come up with – as well as a scientific economic impact assessment of the Rolex Middle Sea Race. “We wanted to avoid duplication of effort so that we could really see where there are gaps in the information, or where updates are required,” Mr Buttigieg said. Mr Buttigieg may not have been directly involved in the yachting industry prior to his appointment, but the agency has some of the top names offering their services, from surveyor Paul Cardona to tax expert John Huber. These are chairing a number of focus groups tackling very specific sectors, some of which would push value-added services, such as a revision of the charter code and fiscal incentives, and facilities to train superyacht crew in hospitality services. “The only way to create an academy for superyacht crew would be to synchronise efforts between the Institute of Tourism Studies and Mcast, Transport Malta, and even the yachting section of the Malta Chamber of Commerce, Enterprise and Industry,” he said. 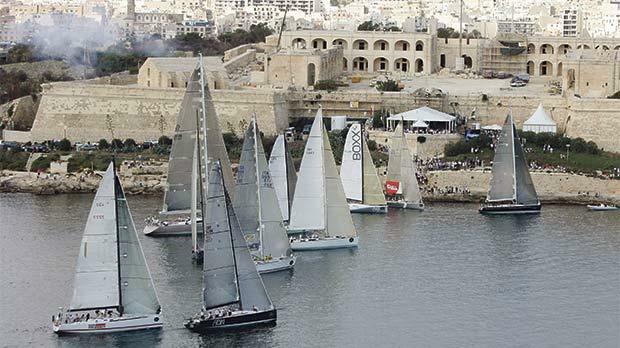 However, the role of the yacht club’s expertise with events like the Rolex Middle Sea Race are clear: Yachting Malta’s plans include a variety of races and events which would put Malta on the international map. “If I were to specify a key target it would be to attract new events to Malta,” he said. Mr Buttigieg is particularly excited about the Yacht Racing Forum, a conference being hosted by Yachting Malta in November in collaboration with Yachting Events Ltd, which should potentially bring some of the top names in yachting to Malta, ranging from the CEO and winner of the Volvo Ocean Race, the winner of Vendee Globe and the CEO of Tour De France à la Voile to the head of events of World Sailing, and from CEOs of sail makers to former America’s Cup captains to a representative from the RORC. He is also crossing his fingers that Yachting Malta will be able to persuade the organisers of events that used to be held here – like the Powerboat P1 races – to return. And why not have a Maltese ‘tall ship’ to literally fly the flag overseas, he muses. The list of 120 ideas – many of which are still high-level concepts – is comprehensive, and include ideas for the private sector to follow up, policy and legislative projects that the government would need to act on, and enforcement issues for the regulators to tackle. These range from unregulated charters to the requirement to have waste water tanks. “There are a number of environmental initiatives aimed at the sea and the seabed. But we also went further, coming up with the need to regulate noise pollution, for example,” he added. There are also a number of initiatives to do with education: “If you want a long-term strategy which works, and not something short term or temporary, then you need to focus on the young, for both sail and power,” he said. With an action plan stretching all the way to 2020, the list of things that Yachting Malta wants to achieve seems endless. However, the first year of its operation was also a time to help established entities, such as subsiding refurbishment of Viking Sailing Club’s premises as well as supporting races like the Euromed dinghy races, and it recently issued a public call inviting anyone with yachting-related projects to come forward if they required support – financial or administrative. “My experience in the past year or so as CEO is that there are plenty of ideas out there but they get stuck when it comes to putting them into practice,” he said. Yachting Malta also wants to organise the first ever Yachting Malta Awards, trying to raise the profile of the many people who have contributed to yachting over the past decades. It will also be launching a sponsorship scheme to complement its work, seeking corporate sponsors matched to a template of benefits and obligations. “Dishing out cheques is a short-term approach for Yachting Malta. We want to professionalise the sponsorship of events to boost take-up,” he said. A delegation from Malta will soon be on its way for the industry’s most important annual event, the Monaco Yacht Show: “When you go the Monaco Yacht Show, you realise that not anything goes in this sector. There is a standard to reach and exceed and going there is always a reality check for us.